Here’s how we can work together for 1:1 or Co-Owner Coaching to transform your profitability and pay. We follow the same 3-step process for each option below. I’ll create a full Profit Assessment Pathway Report for you – it will review the historic and current profitability of the business, and will also consider the relative weighting of Profit, Your Pay, Tax and Operating Expenses (including Debt if you are carrying any). We’ll use this information to create your Profit Roll-Out Plan – the structured plan to help us increase profit and your pay, get that money set aside for taxes and create an environment to better control operating expenses. The Plan will map out how we intend to move from where the business is currently, to where it needs to get to in terms of achieving a great balance between our core elements of Profit, Owner’s Pay, Tax and Operating Expenses – all designed to get you more of the things you want – ultimately an improved return from your business. The report will also analyse and review the Operating Expenses currently within the business. 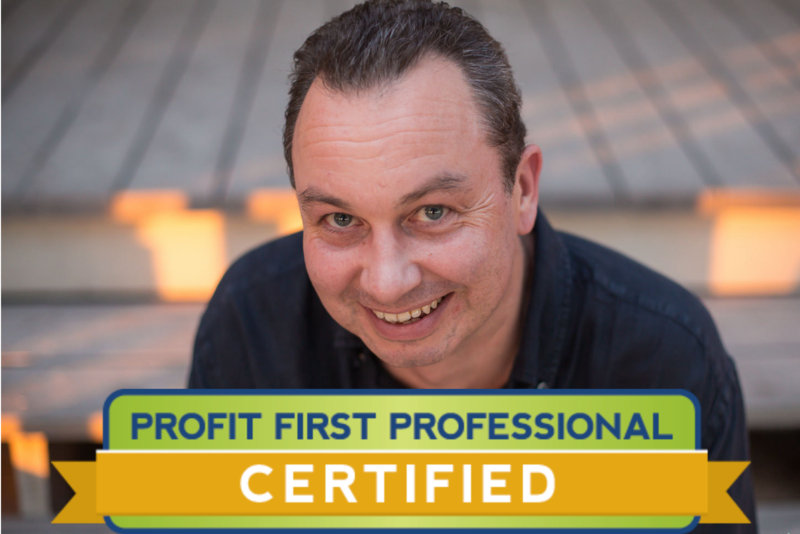 We will implement the Profit First framework into your business (fully guided and supported implementation every step of the way), along with full training in the key concepts underpinning the Profit First method and rationale. We will also cover any ‘advanced’ techniques that may be relevant to your business – for example, handling debt and putting in place a plan to reduce it at an advanced pace, and / or if you experience seasonality in your business (eg holiday seasons, education based term times etc). We will have a fortnightly / twice monthly call to mirror the cash allocation periods that we agree as appropriate for your business / business model. We will incorporate a strategy element in Months 1,2 and 3 to ensure that progress in the business and the application of the system is being adhered to during this period in order that we can get comfortable with the process and the application of funds. Thereafter, we will have Quarterly strategy (in addition to our twice monthly) calls which will encompass moving the allocation percentages to the next level in line with the Roll-out Plan. > Bonus additional ad hoc call each month in the first three months (on a use it or lose it premise) to ensure that you are fully supported at the most important point – initial integration of the system and the creation of the positive profit behaviours that will contribute to your overall success. Strictly Application Only – Schedule A Call Now! A full Profit First Profit Assessment Pathway Report prepared for your business providing you with all the information to go ahead and apply Profit First into your business. An in-depth Discovery Call so that we can unveil all of the essential details about your business – where it has been, where it is now and where it is headed. We’ll use this information to create your Profit Roll-Out Plan – the structured plan to help us increase Profit and your Owner’s Pay, get that money set aside for taxes and create an environment to better control operating expenses. The Plan will map out how we intend to move from where the business is currently, to where it needs to get to in terms of achieving a great balance between our core elements of Profit, Owner’s Pay, Tax and Operating Expenses – all designed to get you more of the things you want – ultimately an improved return from your business. We’ll review the analysis, outcomes and insights of the Report and and Roll-Out Plan to prepare you for the implementation of Profit First into your business. 4x Quarterly Strategy Calls to coincide with the progression of the Roll-Out Plan to ensure that everything is on track for you to meet your profit and owner pay goals as the year progresses. You may decide that you just want the Profit Assessment Report for your business and the Roll-Out Plan along with a call to discuss the Report, Roll-Out Plan and Outcomes, because you think you’re happy to take it from there unsupported. That’s no problem – just tell me when you schedule your call! A Profit First Instant Profit Assessment carried out for your business providing you with the immediate insight you need to increase profitability (and your pay) within your business. Discovery Call – let’s find out where you have been and where are now in terms of your profitability and pay. From the information gleaned in our Discovery Call, I’ll draw up an Instant Profit Assessment of your business, analysing the balance between your revenue, your profit, your pay, tax and operating expenses. We’ll get on a call and I’ll run you through my conclusions, observations and insights from the information compiled in Step 2, and give you a Profit Pathway Plan to follow so that you know exactly what you need to focus on and how much you need to address the balance between the various elements to get to the best balance for a business of your size.